Tripe (rumen of ruminants) refers to the offal. It contains several vitamins, Pantothenic acid, iron. Why tripe is so useful for therapeutic feeding. It is possible to make delicious cakes, making soup, frying, stewing. Especially good of tripe filling for fried pies. Because tripe has a very pungent smell of entrails of the animal, before cooking her meals, you need to remove it a special treatment. If you use the tripe you just skinned an animal, clean it from the remnants of the stomach contents. Wash thoroughly under running water. Then cut the tripe into small pieces for the convenience of further work. Boil the tripe with boiling water, then you can easily scrape off the surface layer with a knife. Take a piece of tripe and put it on a wooden Board. With one hand firmly hold, and the other with a knife, scrape the dirty layer. Cleaned tripe rinse with cold water. He needs to buy a white or slightly yellowish color. In this form it and sell in the markets. But cook him meals early, as the odor is still present. Therefore, it is necessary to expose the scar to the secondary treatment. Pour into a deep bowl of water, sprinkle salt at the rate of 3 tablespoons per liter of water. Put in brine tripe for 3 hours. The water will darken and should be drained and repeat the procedure another two times. Typically after this treatment, the odor should disappear. If the tripe still smells, then you can further it to soak in a solution of salt and vinegar. The concentration of the solution make in its sole discretion. After the tripe you lie down in it for 2-3 hours, then remove, rinse and put in a cooking process. In the case when the smell is so persistent that it does not help, you need to apply the hot treatment. To do this, put the tripe in salted water and cook 20 minutes after boiling. After that, drain the water, rinse the tripe in running water and again bring to a boil. After three repetitions of this treatment, the smell completely disappears. From the old animal offal has a very strong smell and poorly treatable. While boiling the tripe in a salt solution, the room is filled with a persistent unpleasant odor, so if possible, better to do it on the veranda, the balcony or in the yard of a private house. Dishes of tripe does not often appear on the table. It's all in the features making this by-product. But despite the complexity of the primary processing, offal is the basis of many national dishes. Thus, the Central Asian Koreans prepare for Hye, poles - flyaki on–Warsaw. Lamb or veal sweetbreads, cooked with oatmeal and richly flavored onions and peppers – a national Scottish dish. 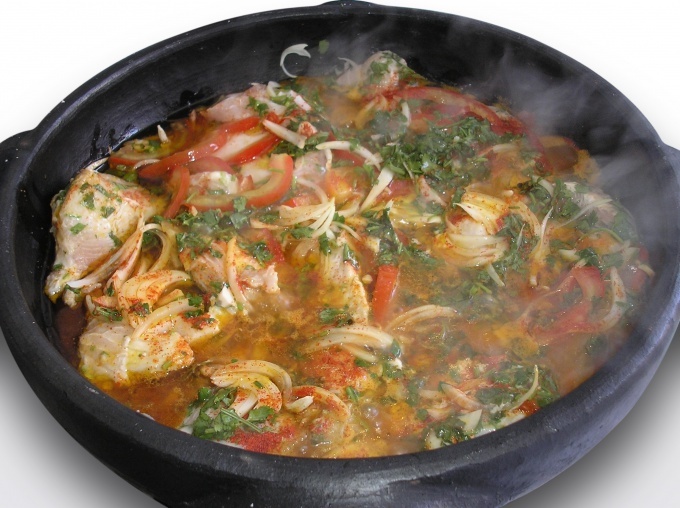 Learning to handle the tripe and cook it, you diversify your table with delicious and cheap dishes. The guts turn inside out. Thoroughly clean from the inner layer (mucosa of stomach). The whole fat from tripe, cut for cooking do not use. Rinse the cleaned tripe in a large amount of running water. Clean the tripe soak in a weak vinegar solution (2-3%) or light pink solution of potassium permanganate for 2-3 hours to remove the peculiar smell. Rinse the tripe in water. Grate the offal table salt and leave for 30 minutes. Rinse well. The tripe is now ready for further cooking. The prepared tripe, put in a saucepan, cover with water and place on high heat. As soon as the water boils, remove the pan from the fire. Drain the water. Cover the tripe with cold water. Bring it to a boil, reduce heat, remove the foam from the surface of the water. Cook the tripe to simmer for 4 hours. 30 minutes before end of cooking add to the pot a whole onion, Bay leaf, pepper peas. Salt the tripe is a good choice. Boiled tripe put on a plate, cool, cut into small pieces. In a pan melt 50 grams of butter. Place cut tripe into the pan, cook, stirring occasionally, 10-15 minutes. Add to tripe 3 crushed garlic cloves, and season with ground black pepper to taste. Put in the fried tripe 2-3 tablespoons of tomato paste. Pour contents of the pan 0.5 cups of hot water. Simmer the mixture for 5 minutes on low heat. As a side dish for braised tripe, prepare mashed potatoes, rice, buckwheat, pasta. Tripe, boiled until tender, soft and well chewed. When roasting to the tripe you can add chopped onion. Boiled tripe mince. Lightly fry it with finely chopped onions. Mix fried tripe with boiled buckwheat. 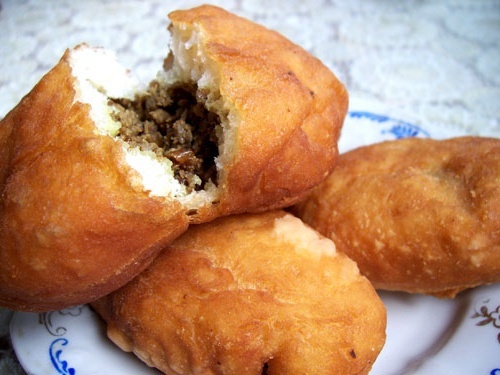 Nafarshiruyte this stuffed thin pancakes, roll them an envelope, fry and serve.